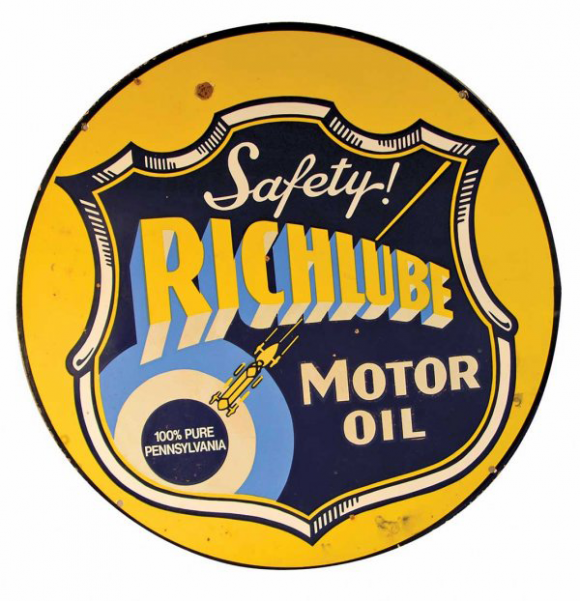 This is a round Richlube Motor Oil porcelain sign. This particular Richlube Motor Oil sign is predominantly yellow and blue with white text. It reads, “Safety! Richlube Motor Oil, 100% Pure Pennsylvania” and features a blue shield against a yellow background.